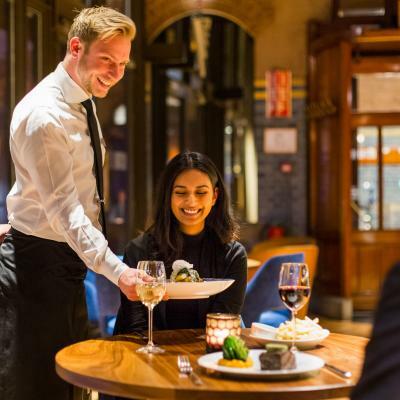 The menu includes modern classics with his own signature that give a nod to the rich history of the stock exchange building and its place in Amsterdam. The ingredients are fresh daily and prepared with care and attention. Many products are locally sourced, such as the bread from Bakkerij Mama, the cheese from Fromagerie Kef, meat from Lindenhoff and Wild van Wild and sausages from Brandt & Levie and de Wit Butchers. In addition to delicious meat and fish dishes such as sirloin steak with café de Paris butter, frites or smoked haddock with Charlotte popato, coarse mustard, spinach, poached egg, Bistro Berlage also serves a number of tasty vegetarian dishes. “Vegetarian meals are often an afterthought at many restaurants, but you can create really delicious vegetarian dishes. It is an important market; people are eating more consciously and the number of flexitarians has really increased,” according to the head chef. 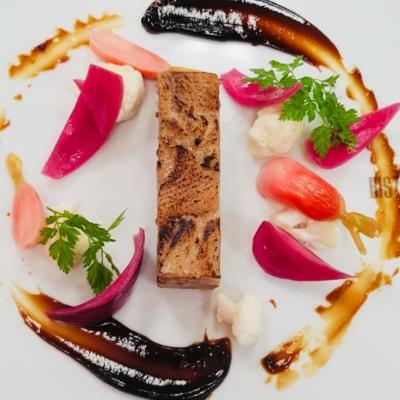 That’s why the lunch menu includes dishes like a salad roasted beetroot and red onion, radicchio, aragula and pecan dressing and the dinner menu offers king oyster mushroom, shiitake, fondant potato, parsnip and salsify. The interior has been designed in collaboration with Rein Rambaldo from De Horeca Fabriek. The historic character has been preserved and supplemented with a modern, elegant interior. The authentic vaults were an inspiration for the curved shapes in the design. The furnishings reflect the blue in the three tile panels by the Dutch artist Jan Toorop. The large island bar with copper scales is an inviting place for drinks and has some space to eat at the bar. The combination of high and low seats and round and square tables creates a dynamic character. Outside on the new Bistro Berlage terrace there is plenty of space to fully enjoy the sun. 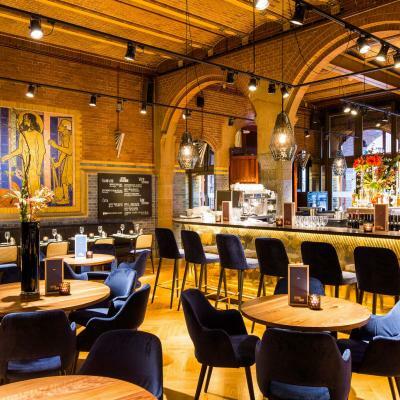 Bistro Berlage is located in the former main entrance of the commodity exchange of the Beurs van Berlage. This monument of trade was designed by H.P. Berlage and was opened in 1903 by Queen Wilhelmina. Behind this beautiful building is a wealth of historical events. 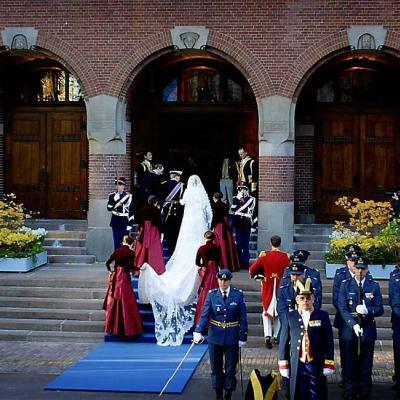 Not only were the stock exchange, the shippers’ trade exchange, the corn exchange and the commodity exchange here at the beginning of the last century – but did you know, for example, that Crown Prince Willem-Alexander and Princess Maxima used the entrance to the Bistro in 2012 to walk into the Grote Zaal where they got married? Or that the Berlagezaal, which is directly above the Bistro, was originally the meeting room of the Chamber of Commerce and Factories and was also specially designed for them?